At Sapphire Recruiters, we believe that candidates are clients too. Our goal is to establish a long standing relationship with you. We track your career development so that we may essentially keep you top of mind for future growth opportunities. On the vanguard of emerging media trends, we are best positioned to provide you with career planning advice. We offer a consultative approach to understanding your personal and professional life’s goals. Essentially, so that we may present the career options best suited to achieve the growth you desire. Whether your goal is to achieve career advancement, leadership skills, work / life balance, etc…………we’re here to help. 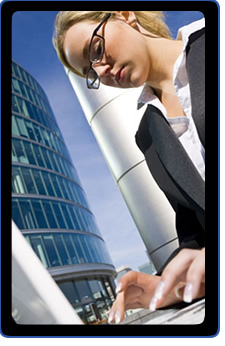 Sapphire Recruiters operates with the highest level of confidentiality and integrity. As a candidate, you can trust that we will treat your search with the utmost care and discretion. Your resume will never be forwarded to a client without your express and prior permission. So you can rest assured that we have your best interest at heart. Our ultimate goal is to create a perfect match between client and candidate for a mutually beneficial working relationship. Please feel free to submit your resume to the email address below. We will contact you upon receipt to discuss your career objectives and key searches we're conducting which may be suitable for your skills set. Search Terms: Entertainment Jobs in NYC, Careers in Entertainment, Entertainment Business Job, Media Recruitment Agencies, Social Media Recruiting, .